Access Innovations this week earned distinction for its workplace policies by Family Friendly New Mexico, a statewide project developed to recognize companies that have adopted policies that give New Mexico businesses an edge in recruiting and retaining the best employees. The New Mexico Task Force on Work Life Balance has created an online business award called the New Mexico Family Friendly Business Award, to recognize and celebrate New Mexico businesses that have family friendly policies in place, including paid leave, health support, work schedules and economic support. The statewide task force was created by the New Mexico State Legislature in 2010. Any New Mexico business is eligible to apply for the New Mexico Family-Friendly Business award. 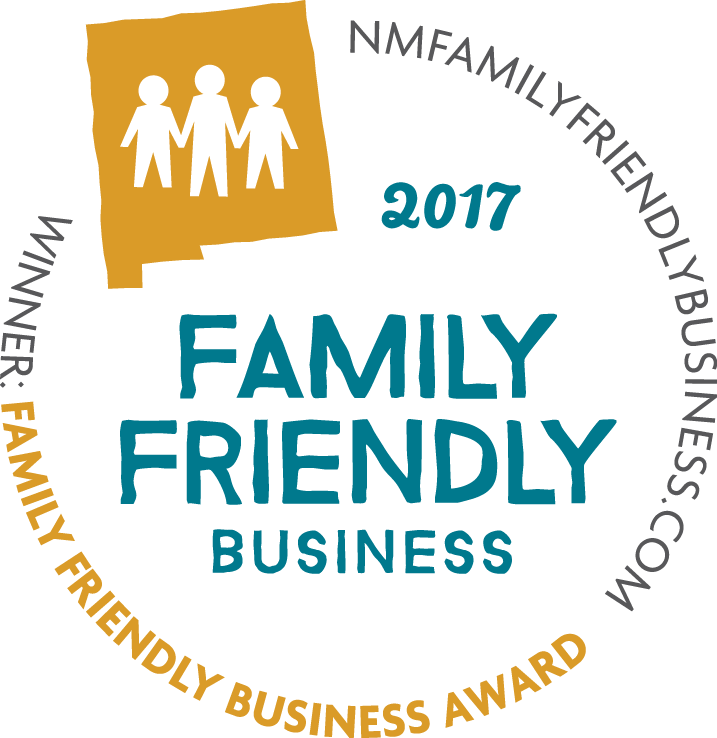 For a full list of family-friendly policies and to learn more about the New Mexico Family Friendly initiative and see if your company qualifies, please visit http://www.nmfamilyfriendlybusiness.com/.